I have no memory of Code Red. 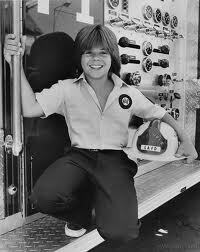 I remember Adam Rich on Eight Is Enough, which I didn't watch regularly, but I think it was on for several years. Mary, David, Joannie, Nancy, Tommy, Elizabeth, Nicholas. Who the hell is missing? (better Wikipedia it) Man, makes me wonder what useful brain knowledge is being pushed aside for this trivia!? Janie, Eight is Enough was on for several season. It was much more successful than Code Red. LOL. Janki, was it Susan or Sue Ellen or something? I have to check? 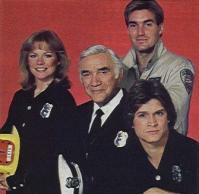 Sam Jones!! Flash AHHH He'll save everyone of us. I think Eight Is Enough had a Susan. Please get rid of word verification. It's so difficult for old people (like me). I can't eliminate the word verification - last time I did that I was hit super hard by spammers. 8 is enough only had that many episodes. I remember that show very well. Could have swore I watched it tons of episodes. Noooo Code Red didn't have as many episodes as Eight is Enough, which is why you never see Code Red in reruns! I do remember it and I'm not surprised that it didn't last. I remember Eight is Enough also, but didn't watch it very much.